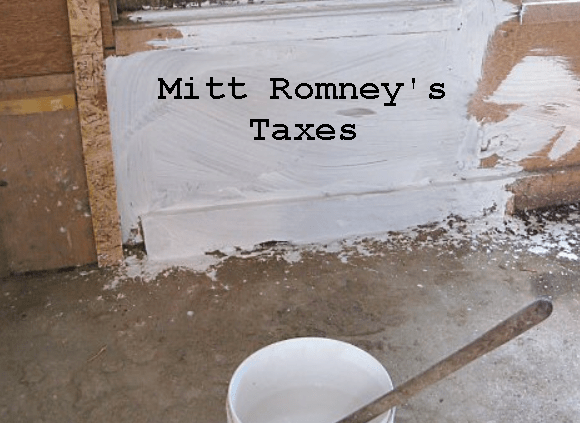 *Romney picked his own tax rate in 2011, purposely paying more than he owed. He also filed late under an extension when it started to become clear that would be the GOP Nominee. Romney intentionally took fewer deductions than he earned in 2011 to make his return look better, paying over $250,000 more in taxes than he needed to. If Romney LOSES the election in November he can file an amended tax return and get that money back. *Romney released his 2010 tax return in January. On Friday, he released his 2011 return and a very brief “summary” of the past 20 years’ worth of returns George Romney, released 12 years of returns when he ran for president in 1968. *Romney still pays taxes on his sons’ enormous trust funds Romney in 2011 paid the taxes on his sons’ trust funds, which are worth around $100 million combined, his tax rate would be much lower.” ALL of Romney’s children are over the age of 18. *The Romneys’ charitable donations go to their own foundation — the Tyler Charitable Foundation — and to the Church of Jesus Christ of Latter-day Saints. The Romney’s gave about $2.6 million to the LDS Church in tithing last year, but ONLY claimed a little over $1 million on his federal income tax filings to ensure a higher tax rate.Tithing is part of the Mormon faith and is 10 percent of ones income. If Mitt were to file an amended 2011 tax return he would get a sizeable additional tax reduction for over 1.6 Million dollars. And there’s more. Of course there’s more where Mittens is concerned.